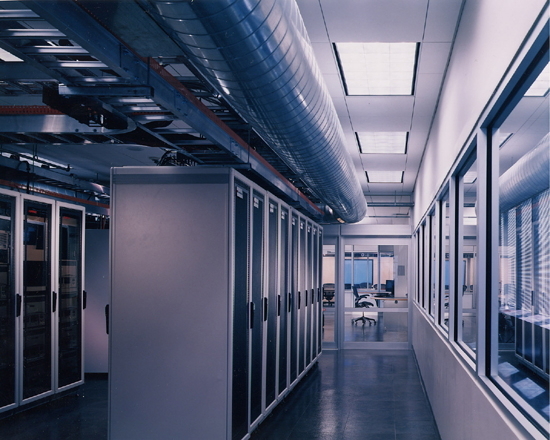 Allen & Shariff has designed a number of data centers for various clients, providing expertise in power, HVAC, fire suppression, cabling, and redundancy design. We have also performed studies which document existing data center designs, their pitfalls, options for corrective action, and probable opinions of cost to incorporate the corrective actions. 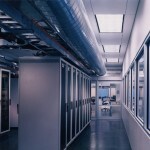 Our experiences and successes give credibility to our counsel in regarding data center design. What are your redundancy requirements? What is the future load? An obvious follow-up question is “What can you afford?” The budget ultimately determines the limits of the data center design. Answers to the basic questions determine the design path that we recommend to provide the best design solution that meets the client’s needs including their budget constraints. The Load: The “load” refers to the electrical and mechanical equipment loads, and it determines the capacity of the infrastructure design. The load is often expressed in units (watts, kilowatts, BTUs) or as a power density (watts per rack or watts per square foot). Loads are sometimes categorized as “day-one”, “five-year”, or “10-year future expansion”. Data center designs that are scalable can offer flexibility that reduces the initial equipment cost by limiting equipment purchases to serve the day-one load. Redundancy Requirements: Once the load, referred to as “N”, is determined, redundancy becomes the topic. Redundancy can be simply thought of as having multiple components or pathways to improve reliability by reducing potential downtime due to component failure. The industry describes levels of redundancy as Tier Levels in terms of “N”, where Tier 1, or “N”, has no redundancy built in. Tier 2, “N+1”, means having one more than you need to cover N, in other words a spare. Examples of N+1 are two UPS units or two generators that can each accommodate N individually, but one of which is a spare. Tier 2 designs offer redundant components but a single pathway for mechanical and electrical distribution. Tier 3 designs, or “2N”, have twice what is needed to support N. 2N systems are fully redundant, providing multiple pathways for mechanical and electrical distribution. Tier 4, or “2N+1”, is similar to 2N except with redundant components. Redundancy comes at a price, however, and that price needs to be compared to the losses caused by downtime to determine its real cost. The Future Load: The infrastructure needs to be designed in such a way that it is sized properly for the future load expansion, regardless of modularity or scalability. Advances in paralleling technologies (UPS, generators, multiple utilities), in cooling strategies (in-row, in-rack, cold aisle containment), and in wire management products (overhead and under floor cable trays, fiber runners, horizontal and vertical rack cable managers, intelligent power distribution units) have enhanced the ability to modularize data center designs and monitor power usage. Please Contact Allen & Shariff if you are interested in a our data center design services. Thank You!